There are a lot of unanswered questions in the world today and I plan to get to the bottom of all of them. I will start with the most important issue as it is something that we all have to live with every day. Of course I am talking about emojis. 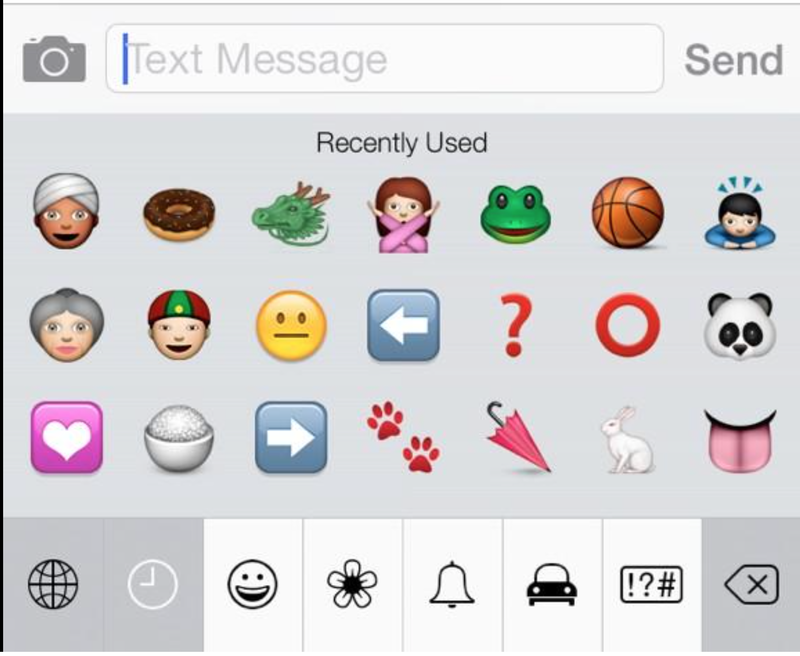 This is a screen shot of my most recently used emojis. Yes, this is officially straight off of my phone. I have an iPhone so I may not have the same emojis as you but here is a little window for you to see into the mind of nacho donut. It is kind of like staring directly into the sun so please proceed with caution. Something that has perplexed me for some time is this one. It is not the clearest image of it but I know that you know what I am talking about. It is hard to get a good picture of it because it is an emoji and I am a donut. Although it is a topic for another post, I hope to one day shrink myself down to the size of an emoji and enter their world to learn more about how they live. The vast majority of emoji’s make some type of sense. Smiley face, not smiley face, frog, panda, arrow, arab man, up, down etc. However, this one remains a mystery. I don’t know what anyone else sees when they look at this but to me, this is an alligator head with reindeer antlers that is on a dinner plate. This thing is disturbing to me. 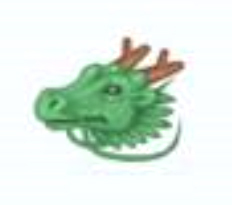 Every time I look through my phone for a witty and situational emoji to use, I end up seeing this thing and I just do not understand it. To make matters worse, when I tweet the Alligator deer head, it turns into this. Now it is a sea monster. Somewhere between my phone and twitter the alligator deer head turns into a sea monster. I am really confused about what is happening and I don’t know what to do. I am hoping someone out there has the answers. 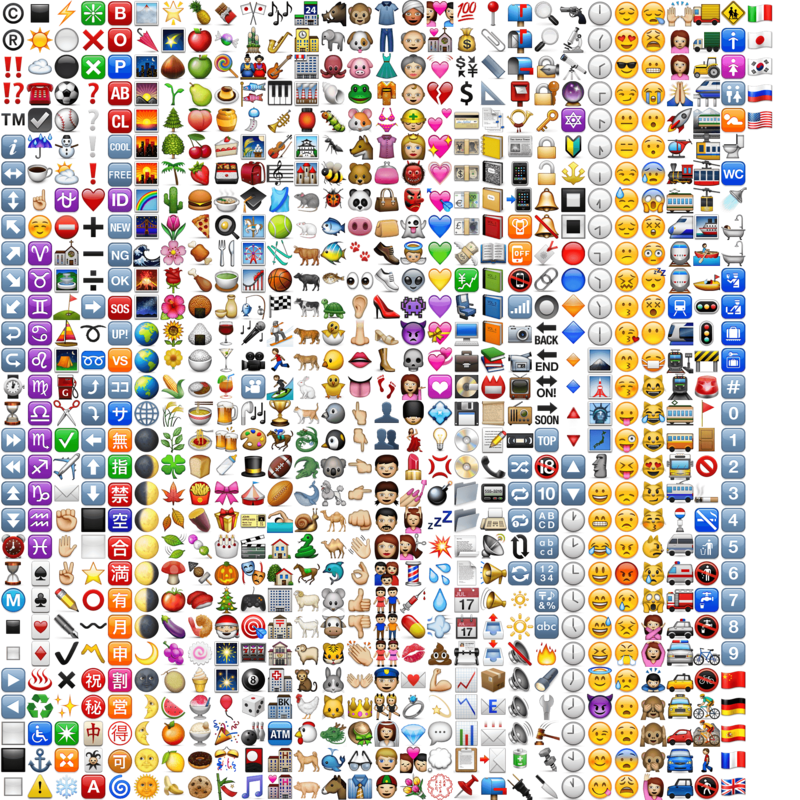 This is a picture of all apple emojis that I have. Much like Nacho Donut itself, this video teaches a lesson about persistence. Nacho Donut began after me and Sean came back from a walk to BP where we bought mini powdered donuts and Nacho Cheese Doritos. When we arrived back at Jim’s place above Santa’s Cycle Store, everyone was passed out so we ate all of the donuts and the Doritos. In the process, the concept of Nacho Donut was born and we recorded the commercial right then. Years later, we began the Nacho Donut blog. Eventually we made videos and a twitter page where we gained a cult following. Nacho Donut has always continued to grow. I am now developing the cartoon and one day we will make the Nacho Donut movie. For the time being, my posts on the Nacho Donut blog will be limited as I have a lot to do and our blog has already reached great success.The twitter account will remain active but I want to spend more time on the cartoon as it is clearly the next step in Nacho Donut evolution. 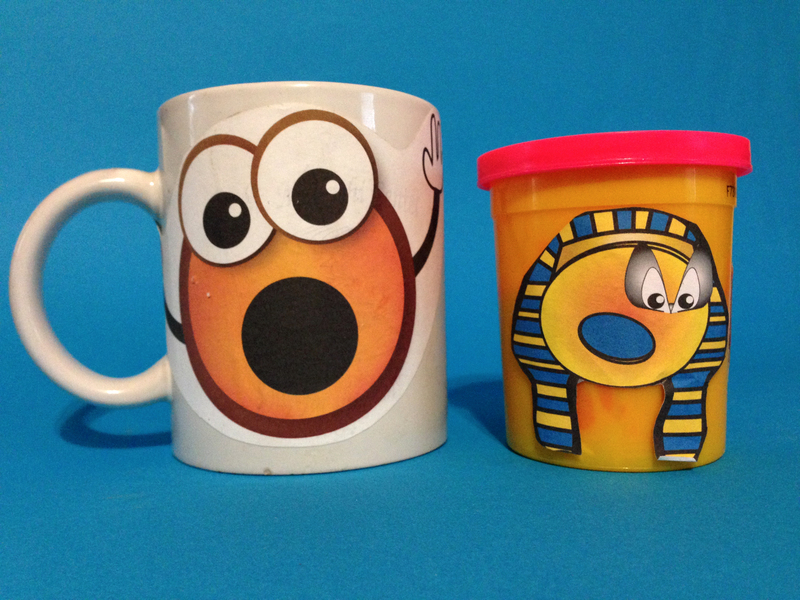 After this will come merchandising and from the funds acquired we will develop more donut recipes and products. This will generate more revenue and from that we will make the Nacho Donut movie. Sometime before or after the movie comes out we will open the Nacho Donut Restaurant/Store and we will then license franchises. In the mean time, Stay Hungry. This song has just been added to the Nacho Donut Soundtrack. 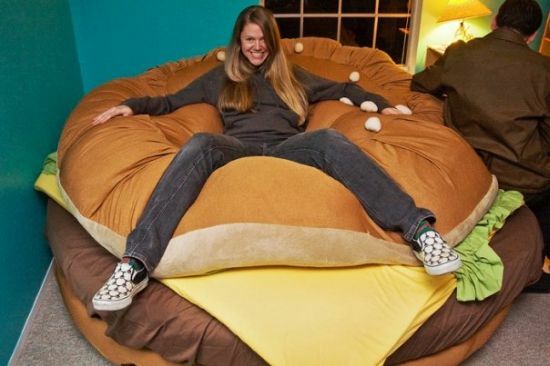 It will be used during a montage when the Nacho Donut workers will be constructing the gigantic donut that is going to roll down the hill and devastate their rival Taco Donut. 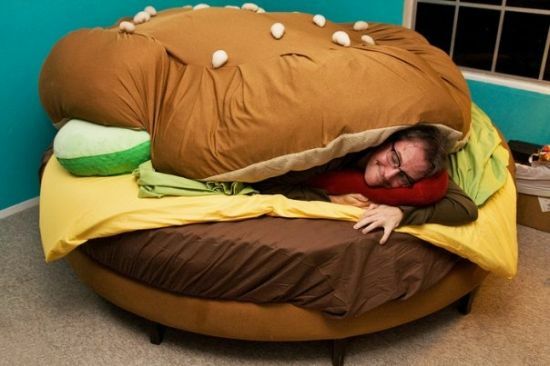 I have heard from a source that today is National Hamburger Day. There are conflicting reports about this on the internet but I have found enough evidence to say that it is. On this glorious day, I am left to contemplate one of the greatest pieces of literature of my generation. 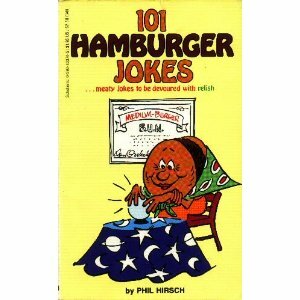 Of course, I am talking about Phil Hirsch’s 101 Hamburger Jokes. This book has changed my life in so many ways. I remember ordering it from one of those flimsy yet colorful paper sheets that we would get in grade school where we would pretty much be forced to buy books. Other people would get Goosebumps and books about Football and I would get books like this one. I also once got a poster of a chimpanzee wearing a Superman costume which I hope that I still have somewhere. When I saw the picture of this Hamburger fortune teller I knew that this book was going to be the most significant book that I would ever have the opportunity to read. This book was one of the building blocks in my development as a human being. 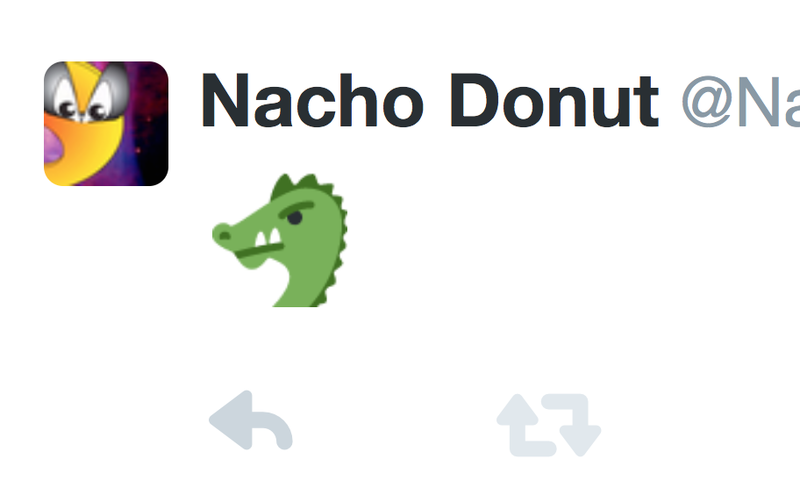 It’s impact on Nacho Donut is evident.